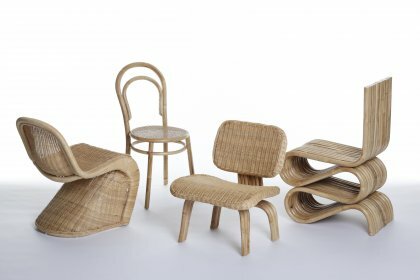 The charm of these four reproductions of famous furniture classics stems undoubtedly from the consistent choice of materials. 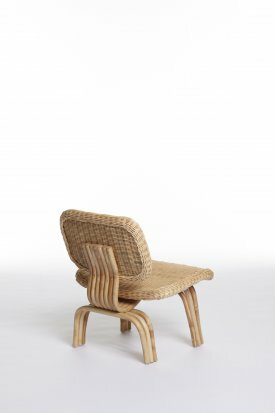 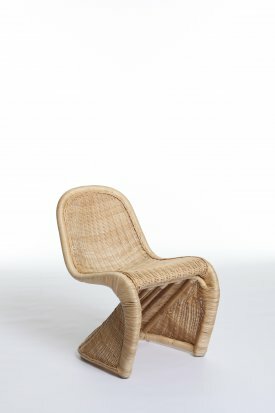 Regardless of whether the originals by design heroes Eames, Gehry, Panton, or Thonet were made of wood, paper, or plastic, the two designers, Emilie Voirin and Jérome Nelet, decided on rattan as their material of choice for them all. 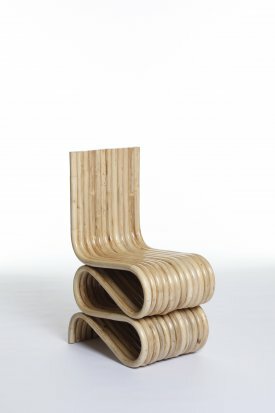 It turns out that this choice has not only led to amusing shifts in the proportions and to structural twists and distortions  as in the cases of Eames and Panton  but that such material transformations also lead to results which are, as much in their design as in their aesthetic appeal, a match for their great models. 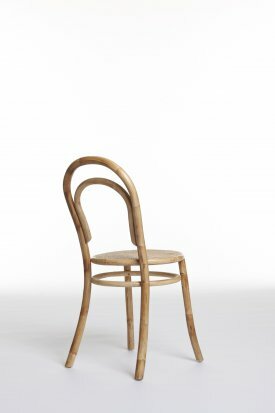 This is above all because their material of choice is just as suitable for achieving the design objectives as was the original.